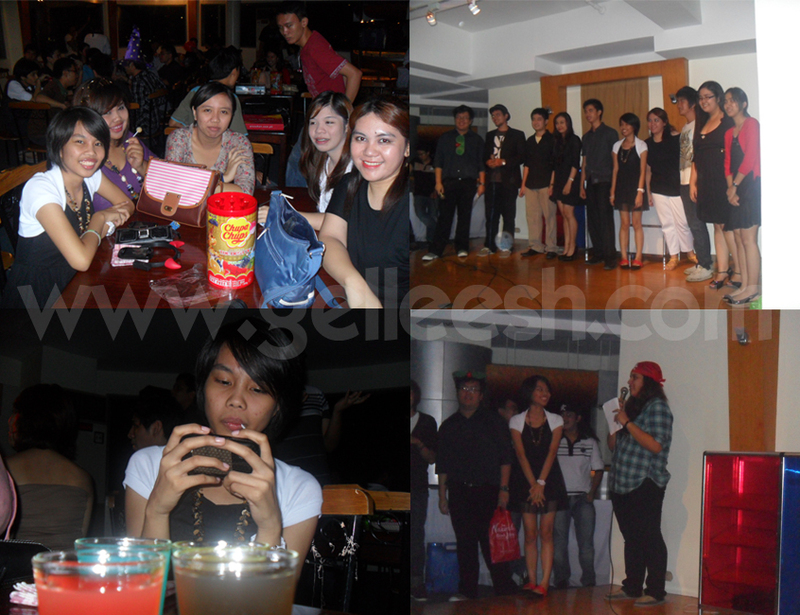 Last Saturday, I attended the Saturday Fright Fever of the DLSU ACCESS. They are the Computer Engineering organization at the De La Salle University Manila. My sister invited me to attend the event since she is a junior officer under the Promotions Department of the org and their Vice President will be turning over the position to her. So, being the supportive sister that I am, I accepted the invite and my sister, Czarina, also invited her high school friend, Justine. CLOCKWISE: (TOP/LEFT) Czarina, GELLEESH, Justine, Carla, Gen | ACCESS Officers | Turning Over of the VP Promotions Position to Czarina | Czarina with the booze! It was a small get together of the ACCESS members and after the program, which consists of the turnover, the games and the pizza dinner, the bar was opened to everyone. My sister told me that I was second oldest in the room after one of their professors (LOL) but I didn't feel that way. Everyone was so friendly and I had a great time. Their president was so approachable and was so nice. I am an alumna of St. Paul University Manila but I consider DLSU as my second most fave university. Some people think that DLSU students are a bunch of snobbish brats but they're not. It always depends upon the person and not in their school. So, please, let's not judge people based on their school. 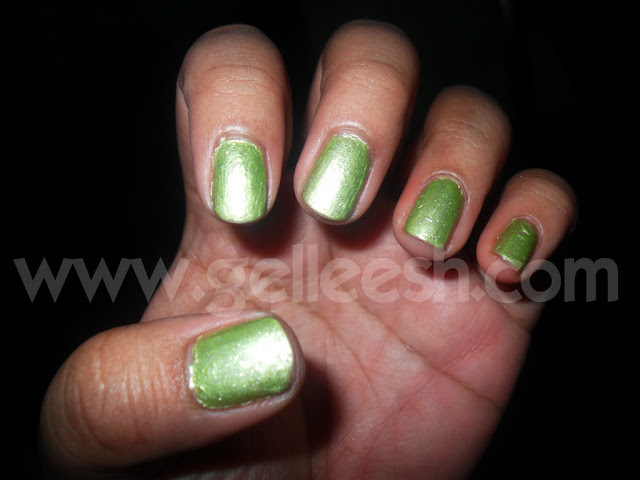 Anyway, My Nail Of The Week is for the DLSU ACCESS students. The nail polish I used: Caronia Frosted in Mint Frosted and the Chic Glaze Silver Dust to give it a glittery and shiny finish which actually turned out to be not-so noticeable. Before applying the nail polish itself, I applied the Caronia Nail Hardener and Base Coat first and upon finishing the polish, I applied a few drops of the Caronia Kwik-Dry. Nice nail polish, i like different metalic accents, though i preferably fall for matte, something less sparkling, but yours look cute!